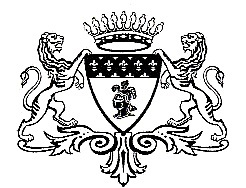 Château Lalande was once part of Château Lagrange. 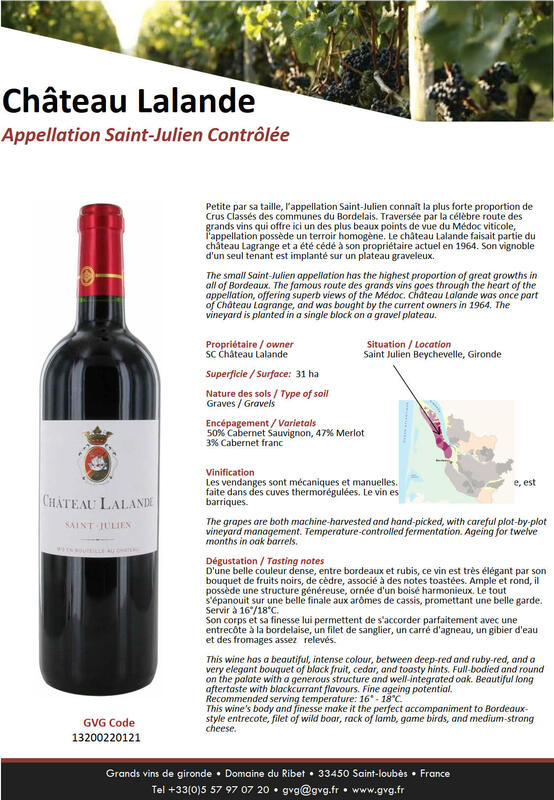 It is situated between Chateau Talbot and Chateau Lagrange. The current owner, Gabriel Meffre, purchased the property in 1964. The terroir of Château Lalande is located in the town of Saint-Julien-Beychevelle, along the Gironde estuary road, near the Talbot and Lagrange castles. The vineyard is located on a gravelly plateau and produces elegant wine with great finesse. The average age of the vineyard is thirty years, the harvest is both manual and mechanical. The vineyard is family owned and managed by the Meffre’s.